Tarpaulin Size Guide | Which Tarp? When purchasing a tarpaulin it can be tricky to know what size to go for, and what grade is required. Here are some tips to bear in mind, and a full listing of all our covers in order of size and duty. For more information please contact our Sales Office on 01409 221192. Know you need a cover, but not sure what size? A tarpaulin is a two dimensional product (length x width). Therefore, if you are going to be using a tarp to cover a three dimensional object, all dimensions must be measured and totalled to determine the size of tarp you need. Before you buy your tarpaulin, it is also important to remember that unless specifically stated as a finished size, the sizes stated refer to the cut size of the sheet; this is the industry-standard terminology to indicate the size of the fabric before it is seamed, hemmed and eyeleted. As a result, the finished size of a tarpaulin can be up to 30cms shorter. It is therefore important to allow for such a possible shortfall. 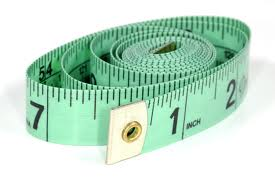 Indeed, if you are working to particularly tight dimensions then it is worth opting for a larger size. Some of our ranges are produced to finished size, where any tolerance will be nominal. With the exception of the Canvas tarps, all of our tarpaulins are cut metrically (in metres), and so the imperial dimensions (in feet) are approximations only. Which grade should you go for? Our tarps are measured in GSM (Grams per Square Metre), which relates to the weight of the material a tarpaulin is manufactured from. In terms of the grades of tarpaulins we can supply, our range is from 80gsm up to 560gsm. We do not offer a guarantee to the lifespan of any of our products because of the huge variety of applications they can be put to; however as a general rule, the heavier the grade of tarpaulin, the more durable it can be expected to be. When choosing a tarpaulin, the application it is going to be put to should be considered, as well as the weather conditions it is to be used in. For example if you are looking to cover a roof for an extended time period, it will be worth opting for something of a heavier duty than a standard economy sheet; under the same conditions, a heavy duty sheet is likely to last much longer. Please visit our How To page for advice on tarpaulin usage.